Windows continue to grow in size while frames recede in response to consumer demand. The forecast for windows in the coming year and beyond is big units with an unobstructed viewing field, set in minimal frames of a dark hue. The aesthetic is unabashedly modern, and shapes are square and rectilinear. “I actually think the move towards modern—I use the term to mean clean and unfussy—is here to stay,” says Greenwich, Conn.-based designer and builder Sabine Schoenberg, host of Sabine’s New House. “Everybody wants more glass and less frame,” says Joe LeFlore, South Florida Millwork vice president. “Bigger is better. I got five plans today and every one is floor-to-ceiling windows.” LeFlore notes that a lot of manufacturers are doing away with grids and muntins to increase the windows’ viewing area. “And screens are going away.” While screens are always an option, he says that many people just don’t want them, and don’t want the hassle of storing something they won’t use. The trend toward black frames on both the interior and exterior of windows continues to charm, while painted metallic frames are surging. Painted versus an actual metal frame is the preference because while home buyers may like the look, committing to a frame they may tire of in a few years is a concern. Especially since aluminum windows are costly to thermal break, says Matson, JELD-WEN’S director of product line management for wood windows. Even in production building, where keeping costs in line is often at odds with trends, Philadelphia architect Jim Wentling will use smaller square windows as accents, usually in a Craftsman-style home, or a ribbon window in a ranch-style home. Florida architect Tony Weremeichik likes to use floor-to-ceiling glass. “That’s tough for production builders, but they can swap them out for double-hung units and gang them.” To meet buyers’ expectations, Weremeichik suggests builders try to get as much glass in their homes as possible within their means and budget. 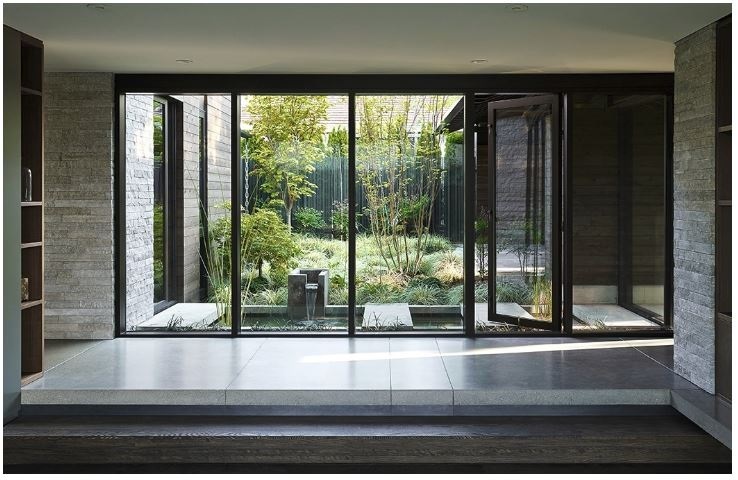 For assistance with your 2019 projects, including incorporating window trends such as these, visit JELD-WEN’s professional portal.